crystal chaton cut silver backed stones nestling in a silk handmade rose. Silk ribbon ties edged with Swarovski crystals complete the look. 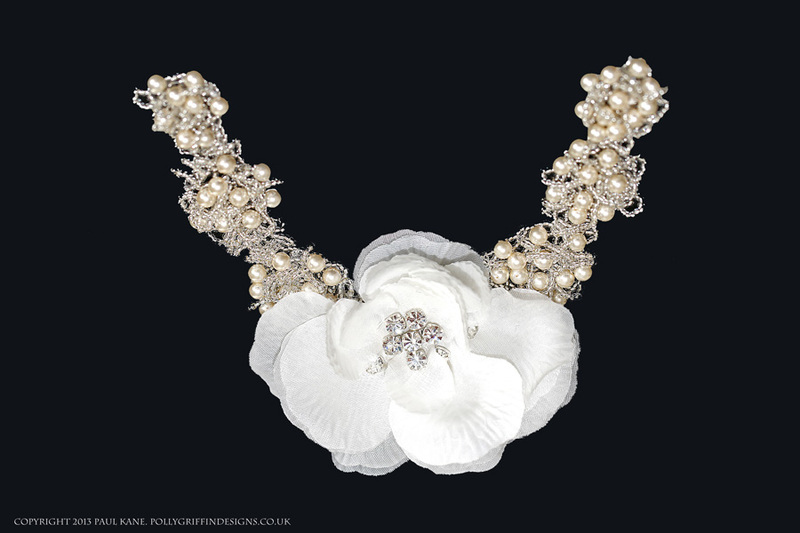 An excellent gift for bridal or special occasion. This product is made to order and is usually dispatched within 7 working days (dependent on required colour & supplier deliveries).